Sorry about these pictures, guys. It was all gross and rainy and fall-like outside when I made this yum yum yummy side dish and it impeded my light. But I had to share this recipe with you soooo we shall have to muddle through these photos! Remember, it tastes much better than the pics look! 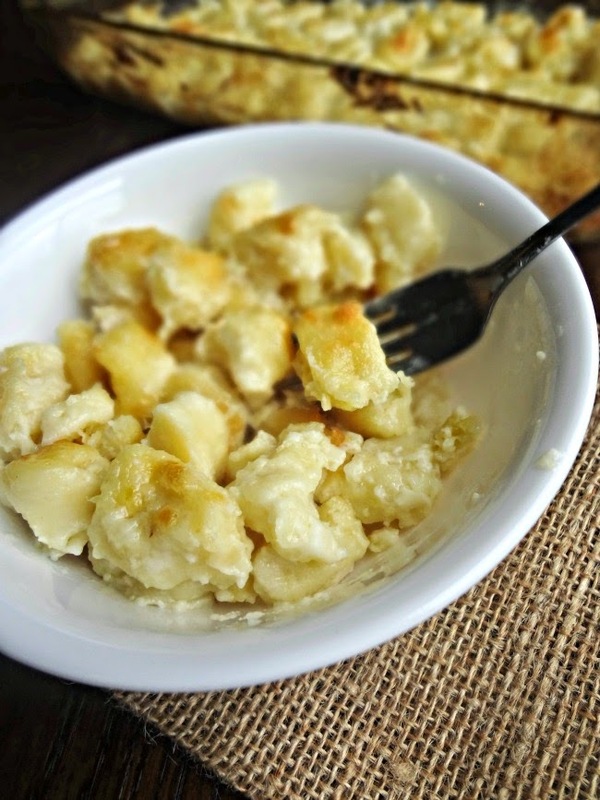 I absolutely love homemade ricotta gnocchi-it's insanely easy to make. 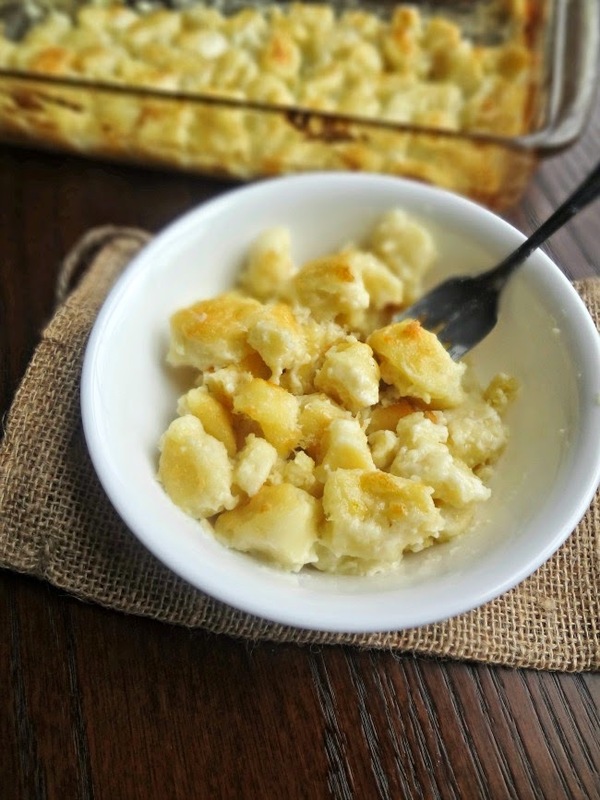 However, I hadn't really had anything to make the gnocchi for UNTIL I SAW THIS RECIPE! You can totally use store-bought gnocchi, but really...it takes nothing to make the homemade. And I just adooore the pillowy texture and perfect flavor of it. Regardless, let's chat about the dish as a whole and not just the noodles! This is essentially a recipe for a small mac'n'cheese-like dish (which is actually lovely because so many of my mac and cheese recipes make way too much for me to eat on my own!) You make a lovely sauce with delicious gruyere (sorta like fancy cheddar?) and fontina (sorta like Parmesan) cheeses. Then it's topped with some Parmesan cheese which-when baked-becomes wonderfully golden brown and a bit crisp-a much needed contrasting texture from the soft gnocchi and rich sauce. 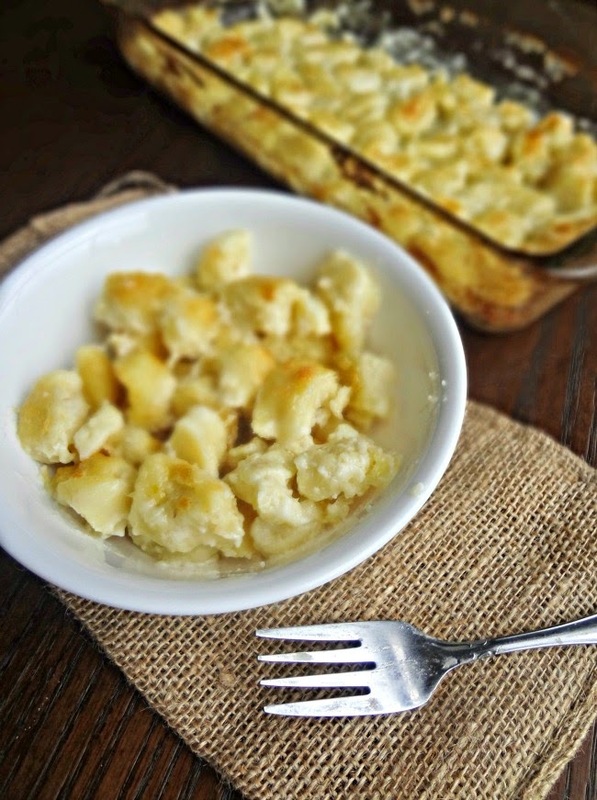 It's cheesy and flavorful and like an Italian'd up macaroni and cheese! I absolutely loved it and I think you will too :) A great recipe to serve when having people over for dinner! Preheat oven to 375F degrees. Spray a 1 and 1/2 qt. shallow baking dish (or 7"x11" casserole dish) with nonstick cooking spray. Prepare gnocchi according to directions. Drain and place in a single layer in the prepared baking dish. Add garlic and cook about 30 seconds-until fragrant. Whisk in flour until smooth and bubbly. Add milk and whisk until it is slightly thickened and bubbly, about 3-5 minutes. Add Gruyere and Fontina cheeses, a small handful at a time, waiting until they completely melt before adding the next handful. Once all is melted season to taste. Pour the sauce evenly over the gnocchi. Sprinkle the Parmigiano-Reggiano on top. Bake until golden brown and bubbly-about 25 minutes. Let rest for 5 minutes before serving. 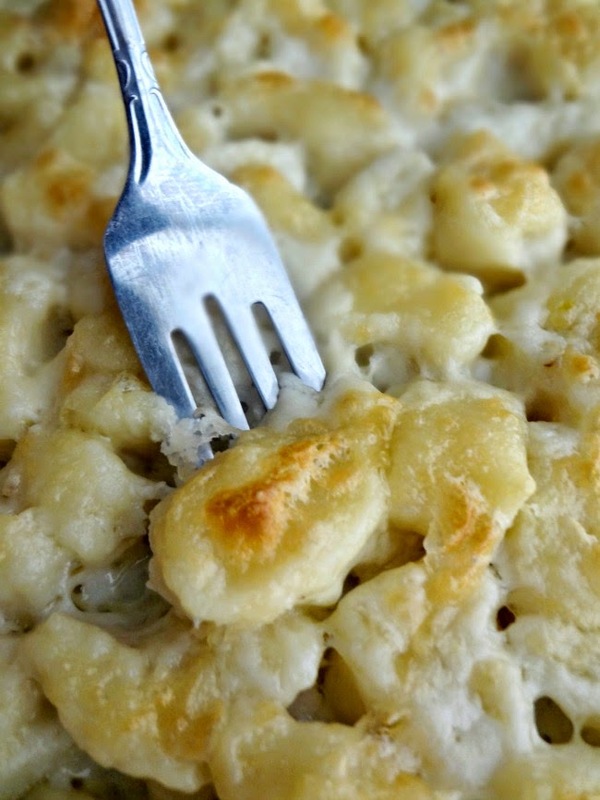 Seriously....that gnocchi...all that cheese. Who can resist! ?